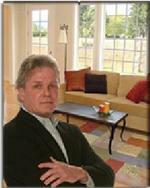 One of two members in our 100+ agent/broker office authorized to handle commercial property. Thanks for Stopping by, I just wanted to take a moment to let you know that I value you and your good will. I hope someday we will have the opportunity to work together again however, building life long relationships is what gives me the greatest joy and satisfaction in my career as a Broker/Realtor®. I don't think of myself as selling real estate, but rather helping people change their lives. I would love to send you a copy of my personal brochure to update you on my background and other information about me and my business philosophy. Just click this link for my brochure and I hope you will take a few moments to read it. My objective is to be your Realtor®/Broker long before you actually need one. I hope when you have a real estate need, question or need a contractor discount/referral, you will give me the opportunity to help you with a recommendation or maybe guide you to one of the many resources found on my various websites that are also just waiting to serve you. Even if you aren’t planning to buy or sell a property for years, I want you to feel comfortable calling me if you have any questions about real estate, the care of your property or community taxes or interaction. Buying a home is a huge decision and making the experience fun, memorable, and stress-free are three of Matthew's top priorities! At times, the purchasing process can be complicated and that's why he takes the time to go over things (closing costs, taxes, market status, etc.) before officially kicking off the home search. It may sound boring but it's very important to be seen as a valuable buyer in such a competitive market, isn't it? He strives to build his business off of communication and market knowledge. Matthew is a recent graduate from Spring Arbor University where he earned a Bachelor's Degree in Marketing. He currently resides in Ypsilanti Township with his Labrador Retriever, Zoey. In his spare time he likes to grab a bite to eat in Downtown Ann Arbor, go to the movies with friends, or head out to a football game at The Big House. Feel free to call Matthew at 734.276.8445 or email him with any questions. Client Care Manager - Maryann helps to keep everything running smoothly. Clients will feel comfortable working and communicating with her. She comes from a background of builders and is currently a licensed agent in the State of Michigan. When she is not in the office, you can find her hiking on trails with her dog Caesar or exploring downtown Ann Arbor. Whether you have questions on a purchase or property sale or file processing, Maryann is there to help you. Don't be shy and call her at our office direct number 734-996-0000 for assistance. Contact her or email her today.